Snowbee have completely re-designed their top-selling Prestige range to compete with the very best on the market, irrespective of price. 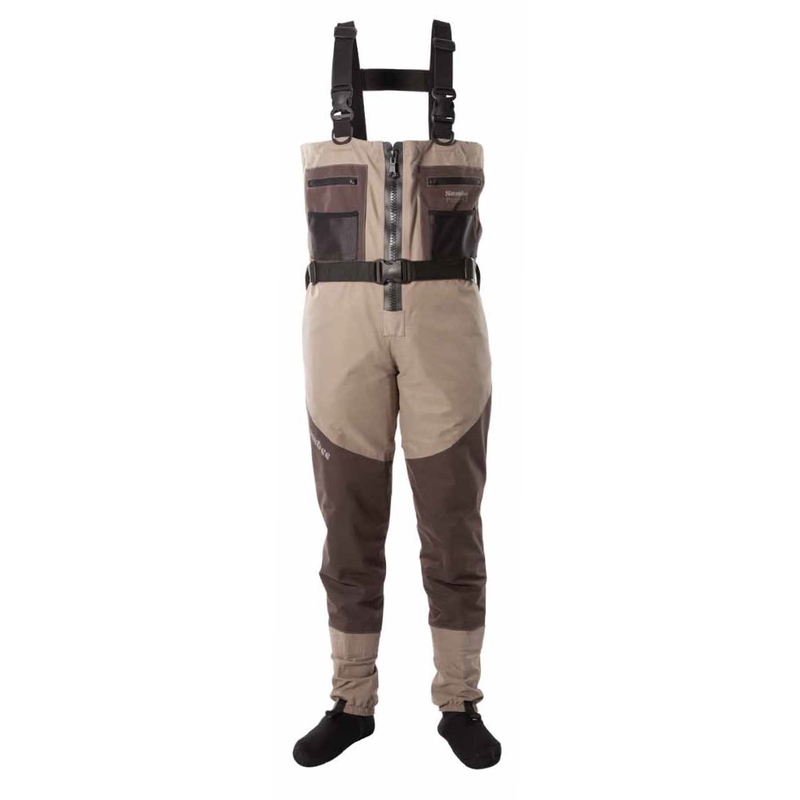 The new Snowbee Zip-Front Stockingfoot Waders features a full length Riri front zip guaranteed to a pressure of 1.7 bar. 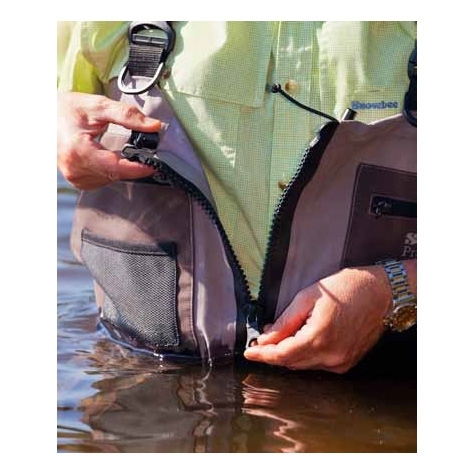 These premium, Swiss made waterproof zips have proved to be totally reliable in the 5 years Snowbee have been making zip-front waders. This offers an invaluable ‘convenience’ factor, when you need a ‘pit-stop’. 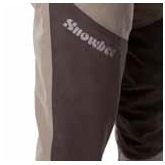 The 4mm neoprene socks fitted to these waders, feature a completely new cutting design, making them the best fitting, most comfortable, Snowbee have made. In addition to the Hypalon sole panel, which prevents heel compression leaks, this new cutting style tapers the ankles, to remove excess material, which can otherwise crease up inside your wading boots. The new 3 panel design ensures all the seams run around and not under your foot, for a more “moulded” fit and added comfort. 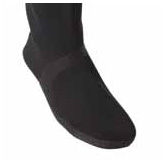 The integral gravel guards have front lacing hooks and rubberised elastication around the bottom, to prevent them riding up when walking. 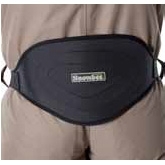 Available in Snowbee's standard fitting, plus their popular Fuller Body (FB) fitting, which is approx 15% larger on the body size. 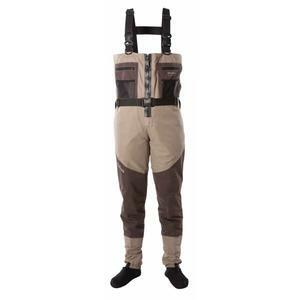 Size FB = Fuller Body - Same features as the standard Waders, but with body sizes approximately 15% larger. Well made and reasonable fit. 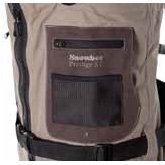 This is the third pair of zip front waders Ive had from snowbee all have preformed excellently.